There are exactly 10 days until Valentine’s day. I know, I know. You’re already tired of hearing about it. Maybe you don’t want to be One Of Those Moms. It’s possible you saw the Printable Star Wars Valentine’s and you are all set. Maybe you even did a little activity with your little from the list of 25 I posted earlier this week. Or maybe you haven’t even thought about it yet. Hey, Mama. I’ve got you covered. 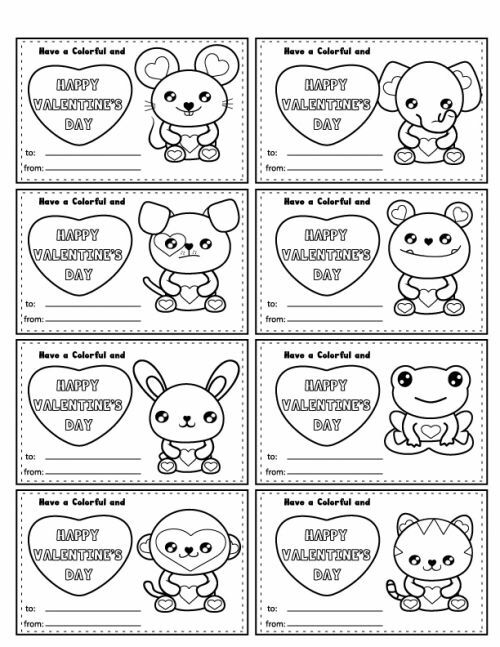 I’ve got a plan and you’ll be the coolest Valentine slinging mom from preschool through elementary school. Grab this free printable. Print 5 or so copies (that’s 30 Valentines!). 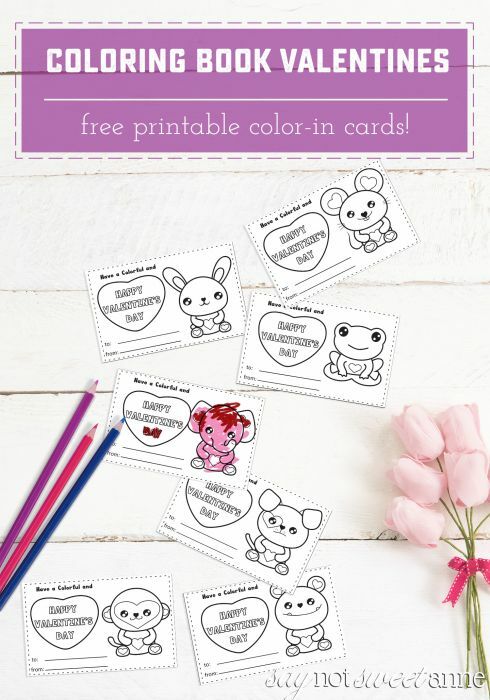 Cut them out and start your kiddo on signing their name to each one. Swing by your local grocery store or wherever you want to buy a pack of 64 crayons and some colorful rubberbands. Wrap 3-4 crayons in one of the valentines and secure with a rubber band. Whew. Now the mommy-guilt laden trap of a child centered Valentine’s Day is over and you can focus on more important things, like a date with your hubby or even just watching Gilmore Girls on the couch by yourself. In peace.